If you’re looking for a fun date night or team building activity, look no further than Team Building With Taste Dallas. 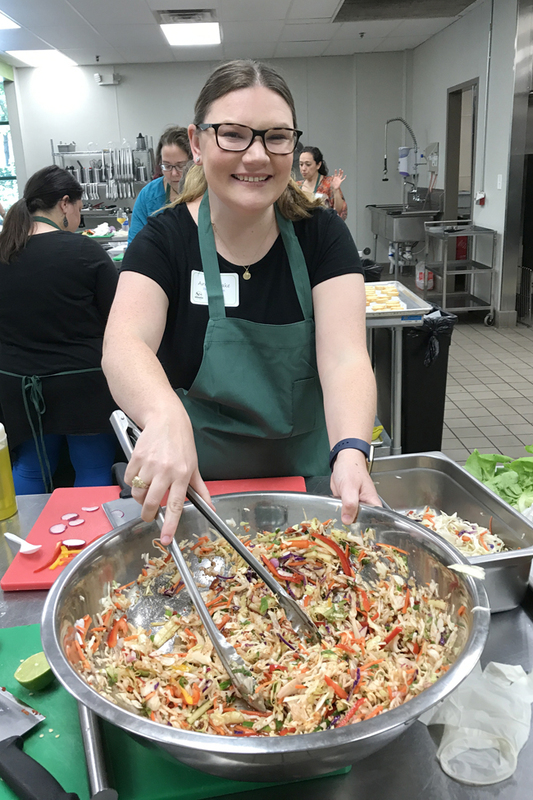 I recently had the opportunity to try out this fun culinary challenge with a group of Dallas bloggers, and let me tell you — it was fun! We were divided into four teams and each team was given a global appetizers recipe to recreate. Our team, the Chop Chix, made Korean Beef Lettuce Wraps with Kimchi. The recipe was given to us, but we had a full pantry at our disposal to add some flair to the dish. With 60 minutes on the clock, we knew we had to work together to make each minute count! It was like our own version of Master Chef! And with 20 minutes left, we were thrown for a loop — a special ingredient had to be incorporated into all of our dishes — sun-dried tomatoes! It was so much fun, and our team did a great job of dividing the tasks and working together. Every team had a professional chef at their disposal to help with executing the recipe and to answer any questions you might have. I learned so much from the experience! At the end of our time, our dishes were judged and a winner was crowned. Sadly, it wasn’t my team but we still had a blast! 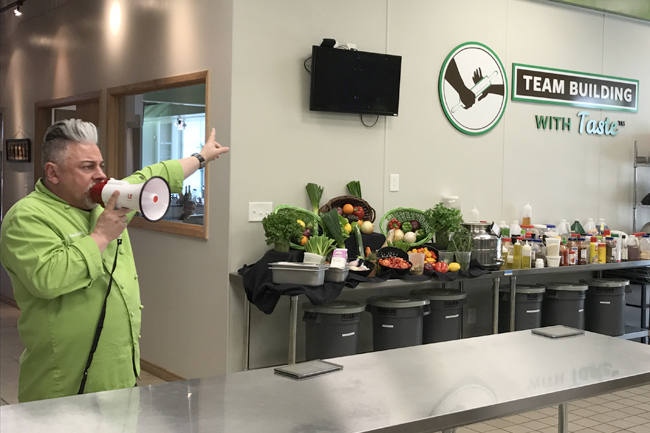 The Team Building With Taste – Dallas facility houses two commercial kitchens and can host up to 100 people! They provide culinary challenges customized to groups. Team Building With Taste – 3 Hours. $89 to $109 per person (Based on the menu item selected). Service charges, program fee, and sales tax additional charge. Taste of Innovation – 3 hours. $79 per person (mystery box challenge with secret ingredients!) Service charges, program fee, and sales tax additional charge. Cooking up Camaraderie – 2 hours. $69 per person (global appetizers menu). Service charges and sales tax additional charge. No team building program fee. Team Building With Taste experiences have a 10 person minimum and can do parties up to 100. Minimum age for the kitchen is 13 years old. And don’t miss their Father’s Day event!